We are offering Multi Lane Racer to our client. 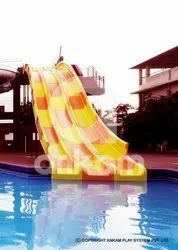 Racer Slide can be provided two and more than two lanes assembled side by side. Racer slide takes the riders on a fun-filled adventurous challenge through events of ups and downs and speeding the riders to the landing area. Its spectacular features make riders repeat the racing challenges again & again and thoroughly entertains spectators. 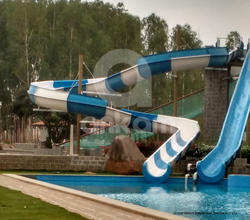 Steep Slopes and wavy design make it a scary and adventurous slide.Its spectacular features make riders repeat the racing challenges again & again and thoroughly entertains spectators.Can be customized to meet space and budget needs.It is a high capacity slide and mass pleasure. Brand Ankam play Systems Pvt. 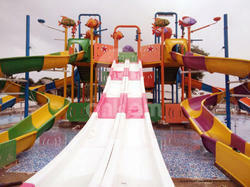 LTD.
Its Suitable for Adults who like Thrills & fun, Even makes your Water park Complete in all other factors. Looking for Multi Lane Racer ?